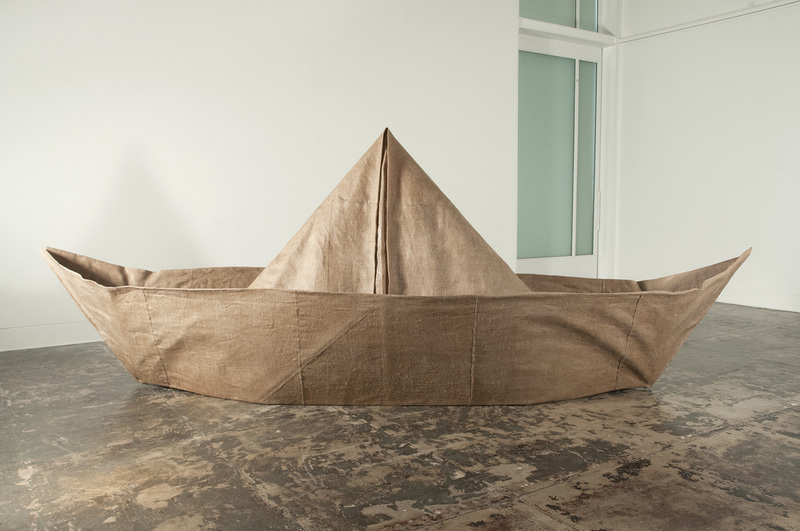 Grounded on the hard floor, “Untitled (Boat)” invites the viewer to imagine the ocean. Since constructing it, I’ve had many conversations with viewers of this sculpture, telling me their personal boat anecdotes. 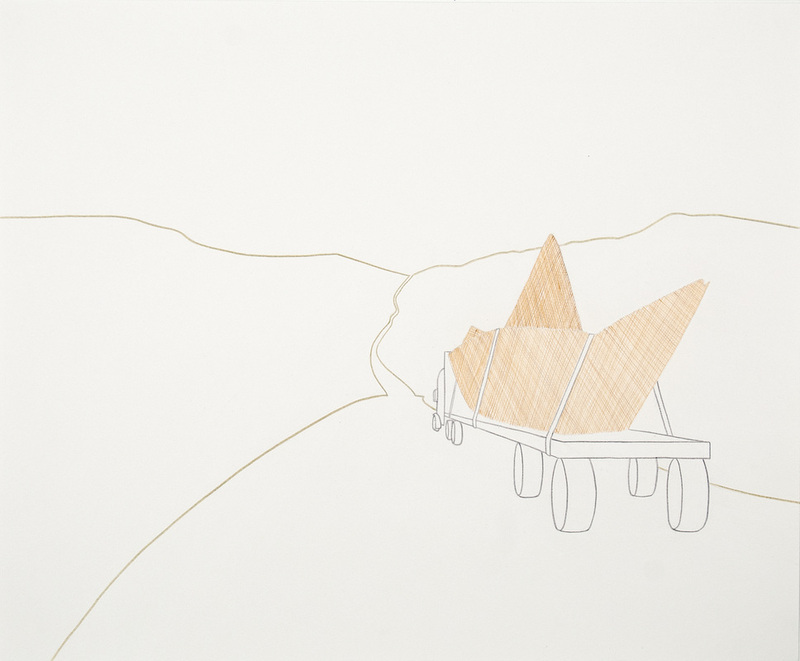 I realize that unlike other boats, this one is not meant to go on water, but rather, to bring the idea of a vast, open-ended ocean, to audiences on land. Presently, it sits in the dark, behind the rolled down grate of a storage unit, while I plan a cross-country trip with the boat onboard a flatbed truck. This journey would start from the Pacific Ocean, cruising on asphalt roads and highways, traversing a string of landlocked states to reach a final destination on the shores of the Atlantic. Einat Imber was born in Israel and currently lives and works in Provincetown, Mass.